Lying in the constellation of Lupus, Barnard 228 (B228, at upper right of the image) is part of the Lupus molecular cloud. Sometimes it is called the Dark Wolf Nebula. 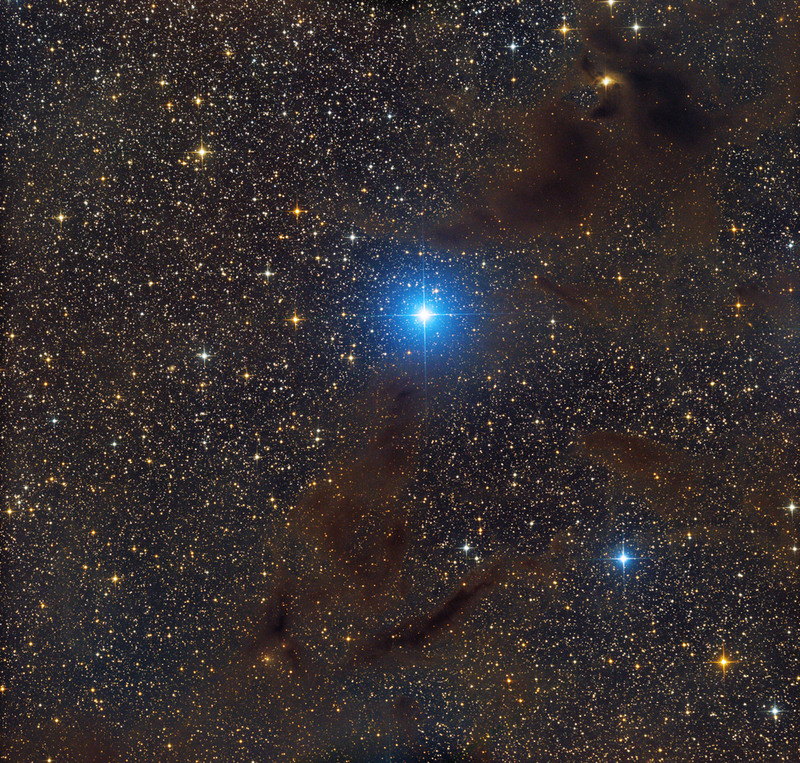 The bright blue star in the middle is HD 140784 (or HIP 77286). According to the Catalogue of Stellar Spectral Classifications (Skiff, 2009-2016) HD 140784 have a stelar magnitude about 5.60 and a spectral type B8V. L:6x10min,R:3x10min, G:3x10min, B:3x10min, Bin 1 Total Exposure Time 150 min.